For many parents who have been thinking about divorce, the number one concern and issue that gives them pause regards how that divorce might affect their child or children. Many incorrectly assume that staying together as a married couple—even if unhappily—means that their child will automatically have enough money available to go to college, and divorcing will directly interfere with that. Below, we discuss this concern, and how to help ensure that you have enough of a college fund saved for your child, regardless of your marital status. According to a recent study by Ameritrade, two-thirds of married couples do not have any financial plan whatsoever in place, even in the event of one spouse’s death. With a large number of marriages ending in divorce, this is beyond shocking. The average cost of attending college is $46,950 per year for a private school and $20,770 for a public school, and college costs have been going up at a rate of at least three percent each year. Thus, whether or not a couple seeks a divorce, a plan absolutely needs to be in place, especially since college savings often take a backseat to more immediate family expenses. All parents will likely at some point need to reevaluate whether their child will attend a public or private school, and whether deferment, discounts for multiple children, grants, scholarships, and/or student loans will be available and helpful to them. No state law mandates that one parent pay for a particular college education. The courts are interested in what’s in the best overall interest of the child, which means ‘send the child to the best school they can get into if the money is available and that is where they want to go.’ However, many divorce agreements specify who will be making college payments, and for how long. For many parents, saving for college through a 529 plan is the best option, especially because the funds are never taxed as long as they are used for valid educational expenses. 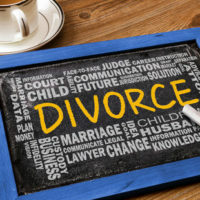 It is ideal to establish this fund prior to divorcing, and although it is typically owned by own parent, very specific plans need to be provided for in the divorce agreement. This includes the option of splitting the 529 plan or at least making it possible for both parents to monitor it. When it comes to choosing a divorce attorney to work with, you will want to make sure that you ask questions about college education funds like these, and work with attorneys who have this larger financial picture in mind. At Trachman & Ballot-Lena, PA, we have the knowledge and experience needed to ensure that you and your family are taken care of. Contact us today to schedule a free consultation at our Fort Lauderdale or Fort Lauderdale, Florida offices.